Basic Editing Tips for windows: What should I do to archive the project file and reopen it? 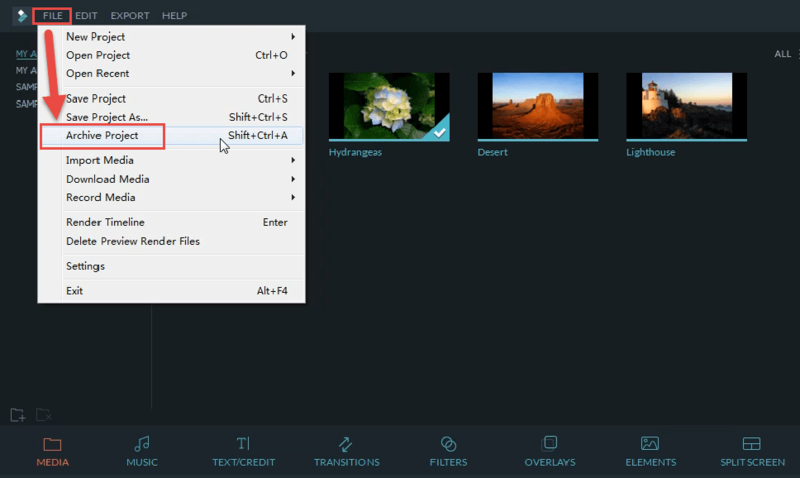 To archive, please press the Filmora at the left top corner, then select Archive Project, rename the file and select the location to save it. 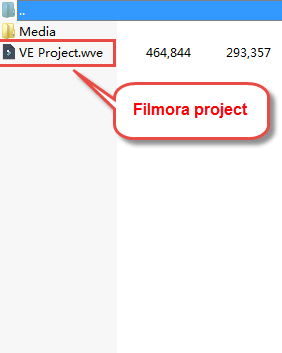 After you archive the project file, it will be saved as a zip file, which including the Media folder of the source files and the project file in .wve. To open it, you just need to unzip the file first, and double click the .wve.